In New York for two days before heading back to Santa Fe we rushed over to the Metropolitan to see the exhibition, “The Steins Collect”. The exhibition does something fairly new. It focuses on the history of collecting. It is becoming a subject of intense study. The Frick, in 2007, established in the Art Reference Library the Center for the History of Collecting. The show is not just an exhibition of wonderful pictures but also about a family that became absorbed in the art of their time. 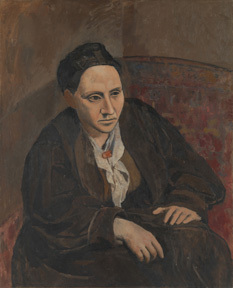 Now everyone has heard of Gertrude Stein, thanks to her writings and even more so to her portraits by Picasso and others. When reminded I did know the name of Michael Stein but the name Leo Stein I am not sure if I remembered. It turns out that Leo was the collector who got his siblings involved. 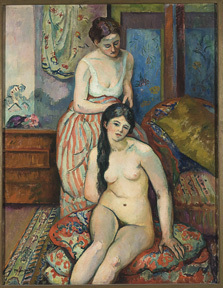 He moved to Paris in 1902 and his sister Gertrude followed in 1903. In 1905 Michael and his wife Sarah left their home in San Francisco in order to come to Paris. Michael was the family banker and their money came from investments and renting properties in the San Francisco area. Obviously, the family was comfortable but not exactly wealthy. Leo started buying paintings and Gertrude joined him. They found they could not afford much of what they wanted so they decided to buy contemporary artists that were not yet in vogue. 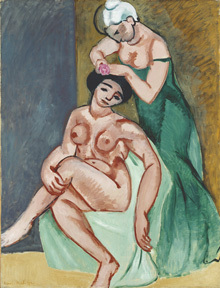 It seems strange today to think of Picasso and Matisse as avant-garde or unknown, for that matter, but they like most young artists were scratching to make a living. How things change, today some people think of Picasso as an old master! When I started out Picasso was still alive and considered a modern master. The Steins picked well but did not live long enough to gain large financial rewards from their collection. Think about it, would you have collected Picasso in 1904? Did you buy shares in Apple? The exhibition opens with a small square gallery with white walls on which are projected black and white images of Leo and Gertrude’s home at 27 rue de Fleurus from 1904 to 1934 and the ever changing paintings that were on their walls. It is a perfect introduction to see how the artists’ styles and the Stein’s taste changed. Michael and Sarah had even more avant-garde taste. 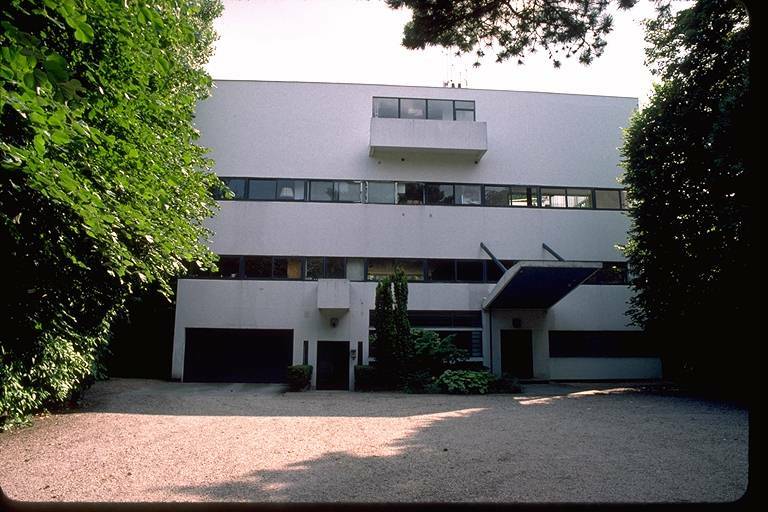 Though they were huge fans of Matisse they also adopted Picasso’s cubist style paintings and later became early patrons of Le Corbusier, commissioning him to build the Villa Stein (1926-28) in Garches, not far from Paris. 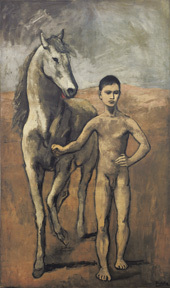 In the exhibition we see some of the classics of modern art such as one of my favorites, Picasso’s Boy Leading a horse (1905-1906), now in the Museum of Modern Art. 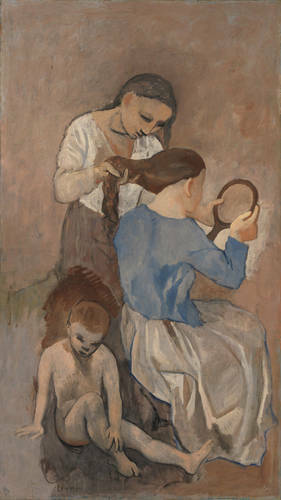 Also, some wonderful comparisons such as paintings of “La Coiffure” by Manguins 1905, Picasso 1906, and Matisse 1907. These were not happenstance but artists in a small community learning, feeding off and competing with each other. Aside from the wonderful art in the show, I had two very important lessons reinforced. There are sayings such as “The squeaky wheel gets the grease”, and here we see it in a positive light. Though the Steins were amazing collectors there were many collectors at the time who are not household names today, such as Jacques Doucet (1853-1929) but Gertrude did not only have her portraits painted but the Steins also opened their house every Saturday for a Salon to introduce the world to the art that they had ‘discovered’ and the artists they adopted. They were great promoters and networkers, with lots of help from Gertrude, they did not hide their light under a bushel. they are right in some newspapers to tell the historic truth about Gertrude Stein in this however wonderfull exhibition,"The Steins Collect;Matisse,Picasso,Cezanne and the Parisian Avant Garde" in NewYork at the Metropolitan Museum of Art . Because what a pleasure to see the portrait of Gertrude Stein by Riba-Rovira .Who was as Picasso an antifascist and antinazi artist .Persecuted by Franco and the Nazis . the only one artist would fought them weapons in his hands . Whose father was in jail after the spanish civil war .Beside Tchelitchew and Balthus and Francis Rose near Picabia and Picasso in the last room of this exhibition . And you have an interesting article in Appollo London Revew about him .And also in Artes Magazine from San Francisco where the exhibition was before .The main document is with the mention beside the picture with the Preface Gertrude Stein wrote for his first Riba-Rovira's exhibition in the Galerie Roquepine in Paris on 1945 . But Gertrude Stein spoke also in this same document about Matisse and Juan Gris . And we learn Riba-Rovira went each week in Gertrude Stein's saloon rue Christine with Masson ,Hemingway and others.By Edward Burns and Carl Van Vechten we can know Riba-Rovira did others portraits of Gertrude Stein . Both ,it is one of the last text where she gives her last art vision .As a light over that exhibition now at the Metropolitan Museum of Art of New York thanks to Curator Rebecca Rabinow . But we do not missed today that all over Europe a very bad wind is blowing again bringing the worth in front of us .And we must know that at least were two antinazis and antifascists in this exhibition but the only one fighting weapons in hands was Riba-Rovira and also who did one of the first three « affiches » supporting Republicans in the beguining Spanish civil war . Picasso fighting also but only with his brushes .